What do you think makes All Saints a distinctly Christian school? All children and staff respect each other no matter what religion you are. What Christian signs and symbols are around to show this? It’s really profound, it’s a summary of what Christ wants; standing together in one accord and looking unto the cross. Do you agree that our ARISE values (achieve, respect, include, support, enjoy) give children and staff an understanding of how to act in a Christian way towards each other? I think they give a good foundation. The children tell us that they value gathering together for a daily act of worship and going to the church for special services. Do you agree and why? I absolutely agree, fellowship is so important in spiritual learning and growth. The songs and prayers experienced at school worship time are wonderful and the children send a golden promise up to God. In RE lessons the children learn about our Christian faith and also the faiths and beliefs of others. How do you think this helps them? It helps them to relate with other beliefs and deal with them better. It helps them grow a better understanding of others and helps to encourage tolerance. I believe it is vital for my two children to learn about other faiths. I want my children to have a knowledge and understanding of all religions so they can make informed decision in their own spiritual life. They understand different faiths and religions and they respect them all. Is there something you child has learnt about in RE that they have told you about? My daughter says the prayers that she learns in school during our home devotion time which gladdens my heart whenever I hear them. My child remembers the bible stories and enjoys telling me all about them. My children spoke at length about baptism one year. And both made the decision to be baptised themselves two years later. My child amazed me by speaking about concepts to me that seem really hard : whoever though of the holy trnity as a triple layered chocolate bar – genius! The Bible tells us we must care for others at home and abroad. 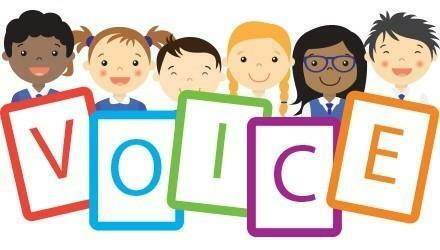 What do you think of the opportunities there are during the year at school to support charitable good causes? Am so happy about it, my daughter knows the importance of charity. I think it is a good thing as it raises awareness of others around the world less fortunate than ourselves. There is a global neighbours club who run worship time and educate the rest of the school. I think this is brilliant. I think All Saints raise money for lots of the charitable causes. At Christmas the older children did such a wonderful thing buying animals. The school is very prolific in charitable causes. I think the school’s work on charities helps the children to realise how lucky they are. In your view, is there anything that could improve All Saints as a Christian school? For now am happy that the school teaches Christianity well, but am I sure that as my daughter moves to higher classes I will be able offer better suggestions. Sharing more of the great work the school does with the wider community. The children in school could educate some of the adults outside of it. Nothing could improve the school..nothing at all, the school is wonderful as it is. I can’t think of anything to improve the school. It is fine just as it is. I wish I had come to a school like this when I was younger. I love All Saints, the school has really helped my children grow, the teachers are all amazing. I would highly recommend this school to anybody. The school really does what the vision says. It helps children to shine whether they are rich or poor clever or not, everyone here can succeed. At All Saints School we listen to what the children have to say. Each year we gather pupil opinions. Here are this year’s results. My school provides me with information about my next steps (for example: moving year group or class, teacher marking informing me of how I can make my work better). Janet Harsent, the Chair of Governors and Andrea Ward, the school Vicar met with a randomly selected group of year four children and asked the following questions. What do you think makes our school a Christian school? Can you tell me about our School Vision and what it means? All of the group could recite the Vision and stated that they liked both the words and the picture that represented the vision. All of the children knew that the vision is based on a Bible verse. What are our ARISE values and do you think they help staff and children act in a Christian way? The group of children then happily shared the prayers that they say in class each day. Do you think that our Vision and Values help you to think about spiritual things like God and Jesus? What symbols do we have around school that show we are a Christian school? Can you tell me about the special Reflection/ Prayer station area in your classroom? We have a spiritual area where we can go to be alone and take 5 minutes time out and leave a worry in the box if we want to. This is a place where we can go if we are in darkness and need to arise. In collective worship time we give thanks to God and we remember others who are not as lucky as us and we pray for them and hope that they will arise. Why do we light a candle at the start of worship/ Spiritual Development? Can you think of an act of worship that was about issues that are important to you? Which one was it? I liked a recent one where Jesus is called ‘the Bread of Life’ and ‘the Water of Life’. This one really made me think of the meanings and about how Jesus keeps us alive like bread and water. Does worship give you a chance to think about things in your own life? What do you find helpful? What do you think about RE lessons? What have you enjoyed most? How do RE lessons help you learn about our Christian faith and beliefs and those of other religions. Learning about Christianity is important to me. I have found out lots of things that link to other religions in RE lessons. As a Christian school does the school provide opportunities to do as the bible tells us that we should eg help others. Do RE lessons make you think and if so what do you think about? RE makes me think about how would not be here if it wasn’t for Jesus because he died on the cross for us. How do you think we could improve on being a Christian school? Janet Harsent, the Chair of Governors and Andrea Ward, the school Vicar met with a randomly selected group of year six children and asked the following questions. Regularly going to church; I like being linked with the church. Saying a prayer in Spiritual Development and in the morning, lunch time and going home time. Prayer Stations with the Cross and Christian symbols in the classroom. R.E .lessons - focusing on Christianity but also sometimes other religions (important because everyone should be treated with respect). The school teaches you about religion but doesn’t force it on you. Teachers respect our opinions. The shine part means that the whole school shall do their best. You should shine and try your best. The school treats you like a family; forgiveness means that you can still be part of the family (when you’ve done something wrong). The image for the vision of the family holding hands goes well with what the vision says; I like that the people are silhouettes and different shapes and sizes - whatever your gender or race you’re part of the family, working together. The Vision mentions our ARISE values. ACHIEVE - makes me think about stepping forward. Achieve is like a staircase, going from enjoying learning as little ones to achievement in Year 6. RESPECT - means things like holding the door for someone; don’t just ignore someone, but respect everyone. The adults in school show a lot of respect. It’s important to respect teachers – if it wasn’t for the staff we wouldn’t be at the level we’re at. INCLUDE - everyone is a family here at school and is included; at lunch time if we did not include someone they’d be sad. SUPPORT- everyone at the school is supportive. We all help each other to arise when we are worried. ENJOY - is important; the school wants you to be happy and enjoy your time here - it’s not just about doing school work at this school and that is good because some people are not good at doing school work but the school makes sure we can all get to shine at something. The Vision helps you remember about God, and being a family. The vision is a way to bring people together. Light - God / Jesus. God is always with you. The Vision focuses our thoughts and helps us understand ourselves and the school. The vision reminds us that following God is the best way. The vision gives us the strength to pick ourselves up and try again when things don’t go right the first time. The School badge with the cross. The cross over the entrance door. The School vision image is very big on the board when you come in to school. Seeing “God” on boards around the school. The Christian bible on the tables in class. The name of the School! In our classroom, the reflection area says “You are God’s masterpiece”. It has a candle, bible and a smaller version of the School Vision picture. There’s a prayer box with prayers we say at lunchtime. We all write prayers for the Prayer box. We say Thank you prayers at the end of the day. The Worry box is in the reflection area. This helps because it’s private - no one else knows or hears. Non believers don’t feel out of place or excluded going to the reflection area. If we have a problem we can always talk to our teacher or TA and they will listen and help they will help us to arise. The little ones looking up to us and seeing there’s more to the school than just their classroom. Teachers talking to us all at the same time – like a big R.E. lesson. Being one family - like our School Vision says. Sharing our thoughts and prayers with everyone, as one big family. To show God / Jesus is with us. Anti-bullying / Respect - this was a good spiritual development session - you don’t get anything out of bullying except making someone sad. I liked the one about The Parable of the Good Samaritan - it’s message for us on how to live our lives was to be nice to everyone no matter who they are. I liked hearing about the sick children at Demelza House and trying to think of ways to help them. At the end of Spiritual Development we are given the chance to think about how it can help us in our normal lives. Spiritual development gives us time to think and understand religions better. Spiritual development has helped me to become more religious (Sikh pupil). All of the group were able to speak very positively about the effect Spiritual Development has on them as individuals. I have enjoyed acting out stories from the Bible. The Parables help us learn to live life well. Learning Christian stories, if you’re from other religions, is fascinating. Class discussions about what we think, are good. RE lessons teach us that we are all different but we are all the same as well – all sons and daughters of God. Red Nose Day - paying money to charity, to wear your own clothes. Raising money e.g. Caring Hands at Harvest..
Raising money for Christian Aid helps people all over the world like Africa, Bangladesh e.g. we bought gifts and got a thank you letter back. Both the Sikh and Muslim pupils in the group mentioned that their religions are similar to Christianity because they believe in charity too. I think about God - R.E. is focused on that. RE makes me think about different religions apart from my own. Thinking about Christianity has helped me become more religious (Sikh pupil). RE lessons make me think about what in Christianity is similar to Islam e.g. stories in Bible and Quran. It’s helped me - before I wasn’t religious but now I am (Buddhist prayer / practices at home). RE lessons help you think about Right and Wrong; the 10 Commandments are like a little guide to life; some Do’s and some Don’ts. Our laws are based on the 10 Commandments, It helps with different scenarios - what would you do in this situation? The Good Samaritan makes you ask what you would do? RE makes me think about helping others and saying prayers for them. All pupils could recite the Lord’s Prayer and then did so, one in the original version. Janet Harsent, the Chair of Governors and Andrea Ward, the school Vicar met with a randomly selected group of year twos and asked the following questions. (The children were able to remember the school vision and they readily recited it). One child described the image to show the vision -- people holding hands, on a hill, next to the cross (Jesus died on the cross - so we can have peace). Holding hands is included in the picture because holding hands is important it shows - friends / shared friendship. All the people in the picture are stronger together working with God- nothing can push them down because they will arise again. Achieve- you should try hard even if you don’t always get it right. Respect-You should respect each other; it’s rude if you’re not listening to someone (teacher) who’s talking. Don’t blame other people. Be honest. Include - if you’re playing a game and you tell someone they can’t play, that’s not including. It’s good to welcome everybody, especially new people. Support - example: if someone is sad and you help them you are being supportive. You can cheer people in a race to give them a boost. Yes. e.g. in the Vision picture it’s dark but God is shining like a bright light so that no one is lost. The cross in our reflection area- crosses make me think God is always by my side and that Jesus can help me. Talking about God. He’s looking into your heart during worship. God’s not looking at how smart you are; he’s looking into your heart and how kind you are. Jesus said he’s the light of the world. It reminds us that God is here. God stops what he is doing when we light the candle and he listens to us. King David –The story of David finding Saul and instead of killing him he cut a piece of his robe off. David really wanted to kill Saul but didn’t, because he listened to God. I remember that assembly , when I really want to do something (wrong) but I don’t because I remember David- and the message is- Don’t be mean to other people be a good boy. Remembrance - when the soldier visited. Our global neighbours assembly about the earthquake faraway. It made me sad for the children who had no homes. Singing to God in a really nice way together with all of our heart shows we are a family. Worship stories give us things to think about. We get to do writing! I love writing. I always write neatly in my RE book. I try to shine my best in RE. We’ve learnt about Judaism and Hinduism before. It would be very boring if we were all the same. Pyjama Day for homeless people. I think BIG things like the question on our Thunk board… If God made the world… who made God? Having paper crosses with us at playtime with God on them. I think we could teach others ….like make a poster about God to put in the town for people to see. I think we could write prayers every day. 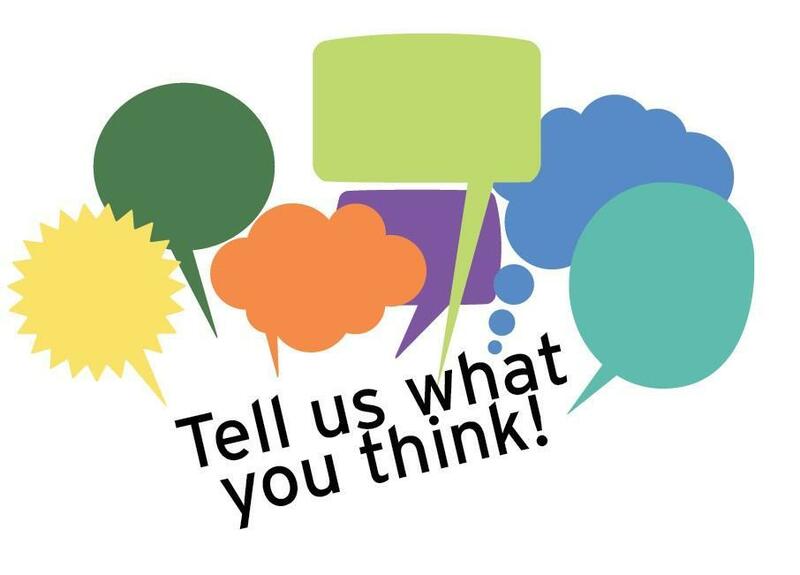 Each year we ask all members of the school family to tell us their opinions about what we currently provide. We use feedback from these exercises to inform future school improvement planning. In terms 1-2 of the academic year 2018 -19, we asked the parents the following questions. We are very pleased with their responses. We shared parental feedback in a whole school newsletter and are currently working on reviewing the school behaviour policy.